Ideal for picking up litter, cans, bottles, waste paper. Length 800mm (32"). 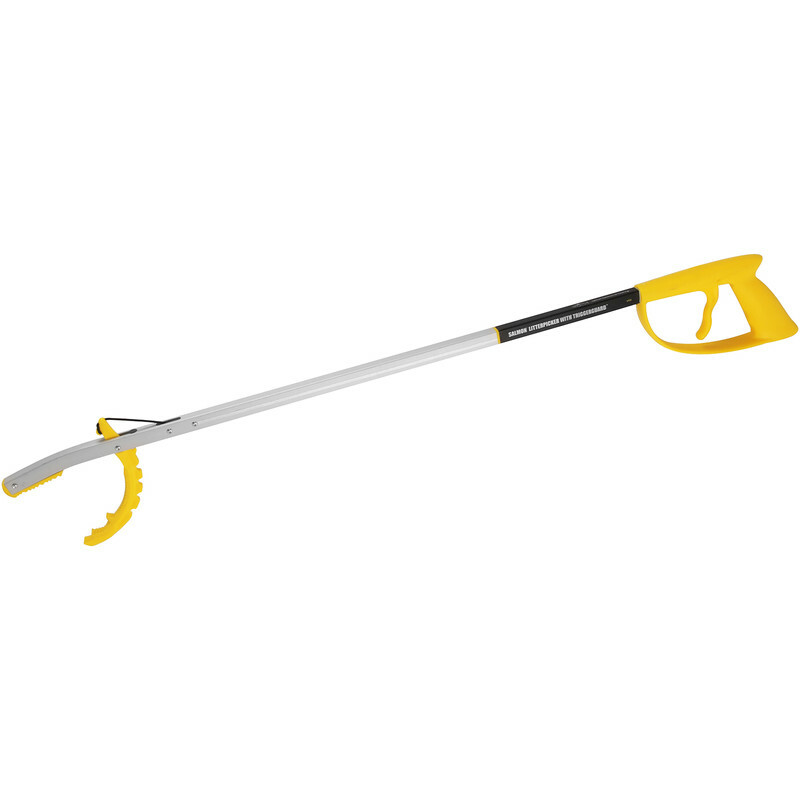 Litter Picker With Trigger Guard is rated 4.9 out of 5 by 14. Rated 5 out of 5 by Haard from Am I picky? inexpensive item that has stood the test of time and so far has been used extensively without problems. Rated 5 out of 5 by CathA1 from Does what's needed. Groundsman's litter pick was broken so bought as replacement. Rated 5 out of 5 by Stockcar 218 from Fantastic item I brought this for picking litter up at work and actually enjoyed using it. Rated 5 out of 5 by Paulus54 from good quality I have used this brand for a long time and they last. I have tried cheap alternatives and they are a waste of money, don't last long. Rated 5 out of 5 by El Tel from Seems fit for purpose. I bought this to use in the street I live in. The council have stopped cleaning the street, so me and my mate will spend an hour a week doing it. Rated 5 out of 5 by rayinski from good all round Bought because I need something to help pick items up when I dropped them. Has an excellent grip and can easily pick even the smallest of items.